Three Maids Chasers is a family-run equestrian facility just outside Winchester. There has been a cross-country course at Down Farm for many years, and some may remember it as Course no.5 of UK Chasers. In 2007/8 we completed a major programme of improvements. The idea was to transform a tired cross-country course into a venue designed with the enthusiastic amateur in mind. 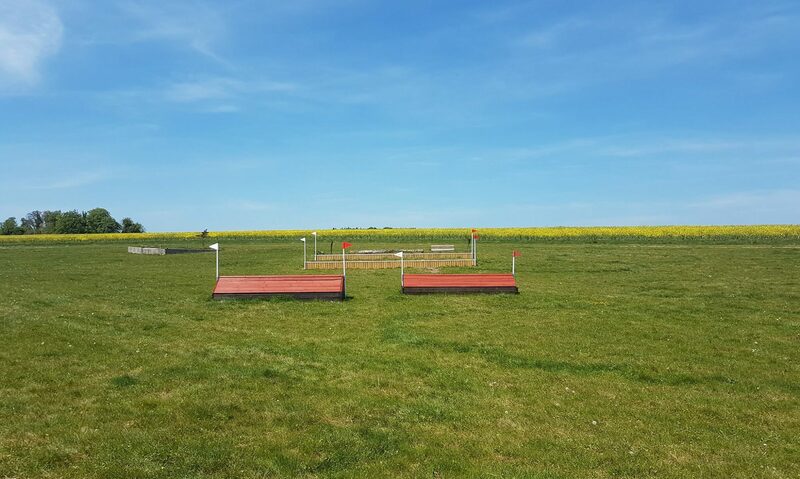 In addition to improving and upgrading the jumps on the hunter trial course, we built a number of new permanent obstacles, several movable jumps and created the schooling field, showjumping area and dressage area. We offer our facility to riding clubs, pony clubs, instructors and individuals looking to give both horse and rider a bit of exercise. We have more than 20 years experience of running a cross country course, organising events and competitions and have 5 years of hosting Pony Club Camps under our belts. We also have first hand knowledge of the Pony Club system, both as participants and as parents, helping us to make sure everything runs smoothly. Owing to hard work, careful management and favourable geology, we are open year-round. Jim is responsible for the day to day running of Three Maids Chasers. managing bookings and course maintenance. He ensures sure that all the take-offs, landings and fences are in good order, and carries out the myriad other tasks that go towards maintaing our high standards.